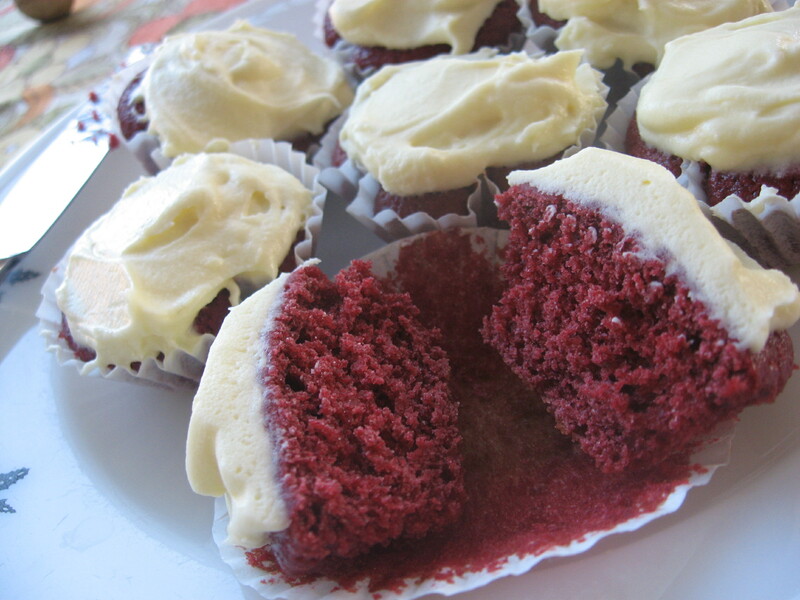 Everyone raves about red velvet cupcakes, so I thought I would give them a try. Turns out they’re pretty much chocolate cupcakes with red food colouring. I used this recipe from Good Taste. 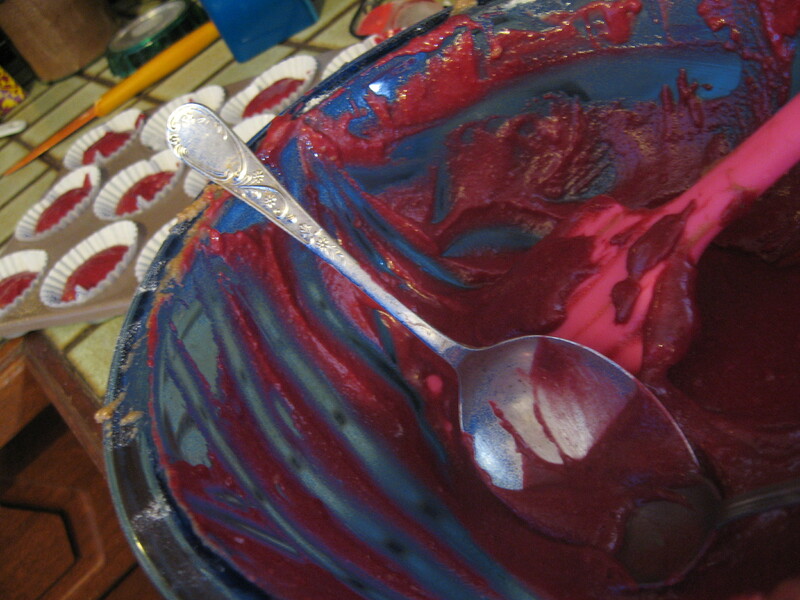 The batter goes an amazing colour! The only things I did differently were: I substituted lemon juice for the white vinegar (I had no white vinegar, but I had a lemon! 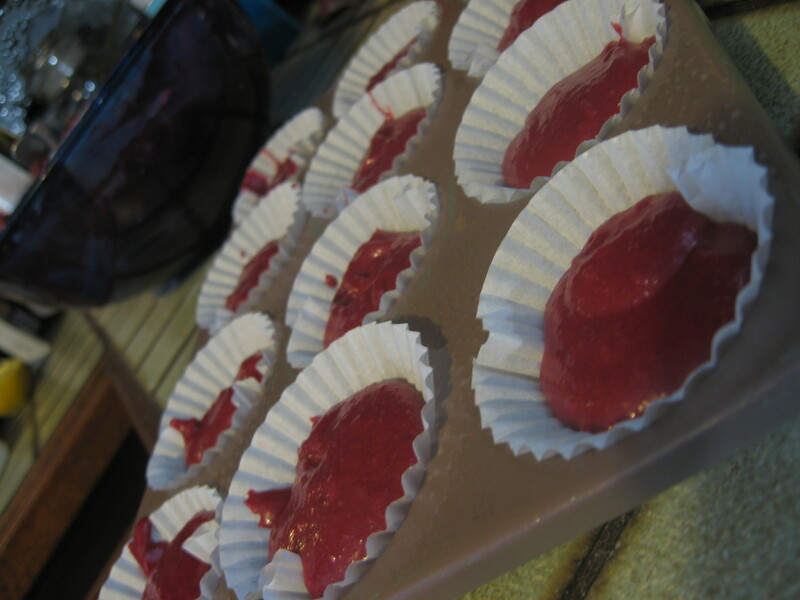 ), and I was using Rose Pink food colouring rather than red – not sure if that made much difference really, but I used about 3.5 teaspoonsful. I’d recommend these if you want to make something that looks fancy but is actually pretty easy to make. If you want to make them look totally fancy, you’d pipe the frosting – I was too lazy!